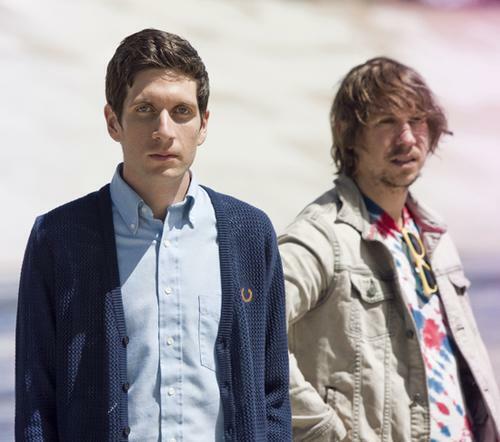 LA’s indie rock duo, No Age consists of Randy Randall (guitar) and Dean Spunt (vocals, drums). The band has so far released three albums, 2007’s Weirdo Rippers (a compilation of early material) 2008’s Nouns and 2010’s Everything In Between. The band’s third full-length album, Everything in Between dropped on 9/28/2010.